5 customers were able to try this promotional product before it sold out at 3:00 PM on January 5. The regular, guaranteed lowest price on 36 of these flashlights would be $351 with set-up, SAVE over $100! Put some flare into your promotions with these flashlights! Let your brand shine with this imprinted flashlight! 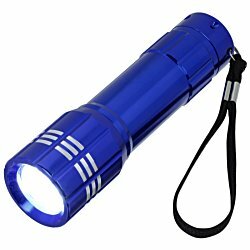 Flashlights are made from aluminum for durable, long-lasting use. Each flashlight includes eight bright-white LED lights. Includes an On/Off button for easy activation. Complete with a nylon carrying strap. Three AAA batteries are included for immediate use. 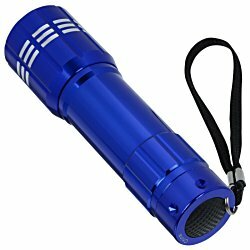 Your price includes a one color imprint on the barrel of the flashlight, with LED lights to the left.